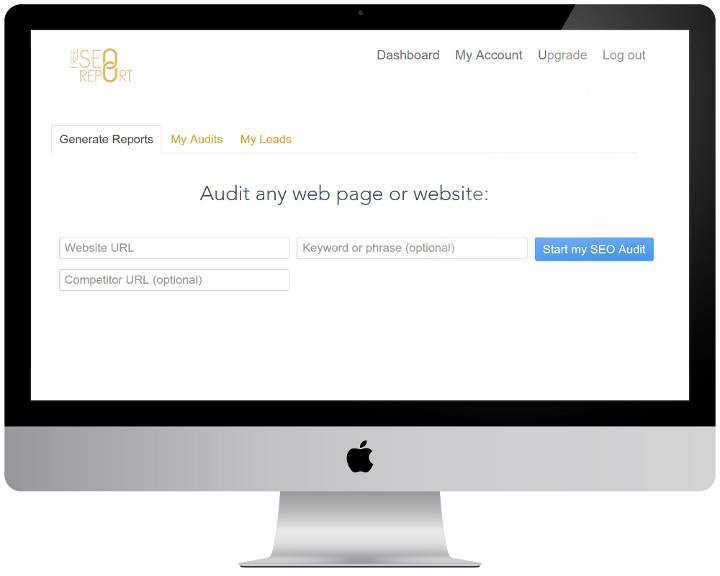 Embed our powerful SEO audit tool on your agency's site and EXPLODE your leads and sales. 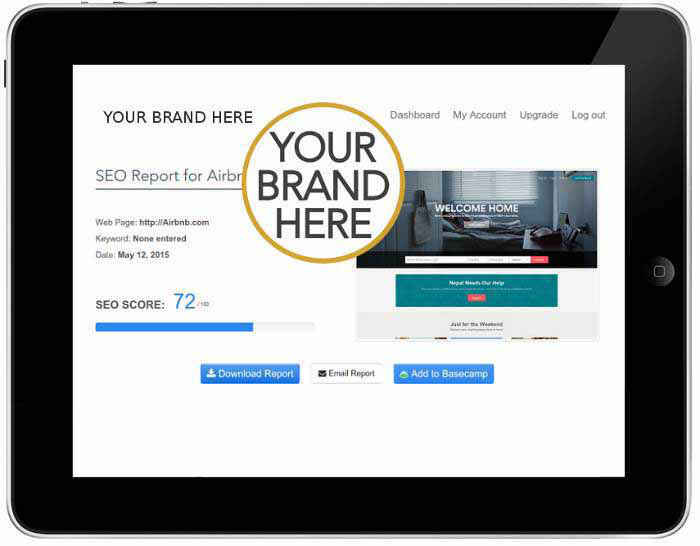 SEO Report tool on your site. 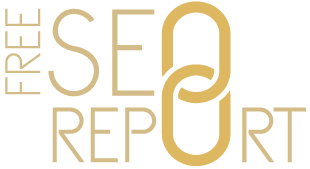 Simply copy paste the Free SEO Report embed code or share with your developer/designer with one click. Get more leads & Sales. 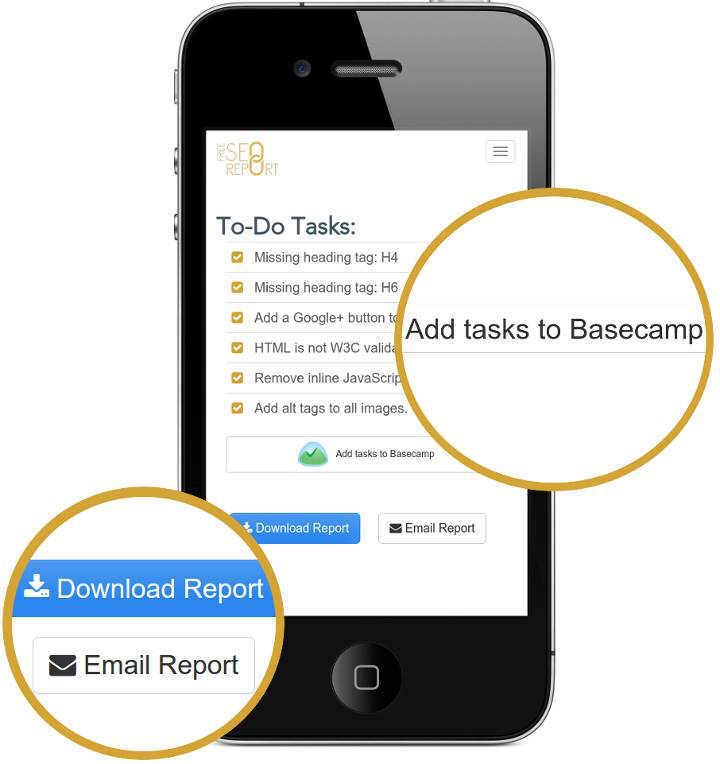 Use our 1 click basecamp integration to add Free SEO Report tasks to your Basecamp account or Integrate with Mailchimp for great follow up emails or drip campaigns. 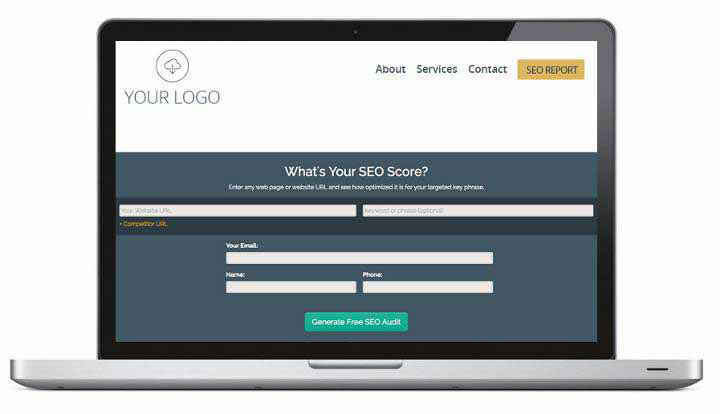 Enter your website to get your free seo report and see over 60 SEO metrics. 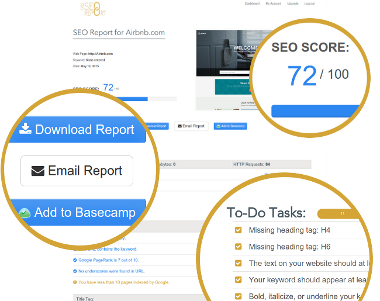 Review your SEO analysis and email it, download or connect to Basecamp easily to get your SEO task list organized. 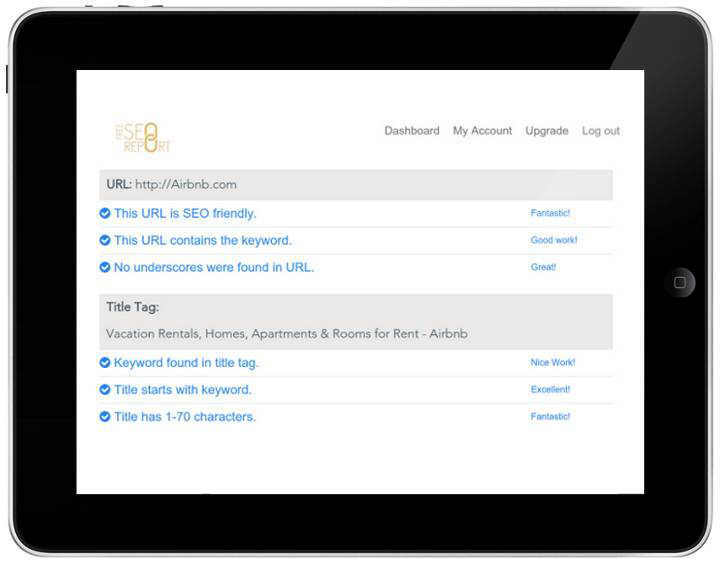 Start getting each SEO task checked off your list and rerun your report to analyze it again. Upgrade to save unlimited reports and track your progress. Convert 25 times more leads! 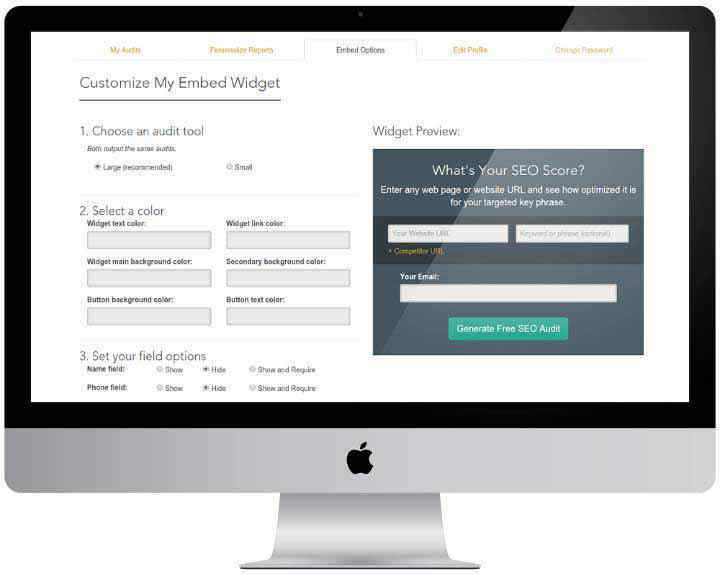 Only takes 1 minute to embed Free SEO Report tool on your site. If you're not happy we'll gladly give you a 100% refund - no questions asked. Free SEO Report each month to analyze sites across hundreds of industries.